Our Arcon Evo professional house design software was used to produce the following project below. 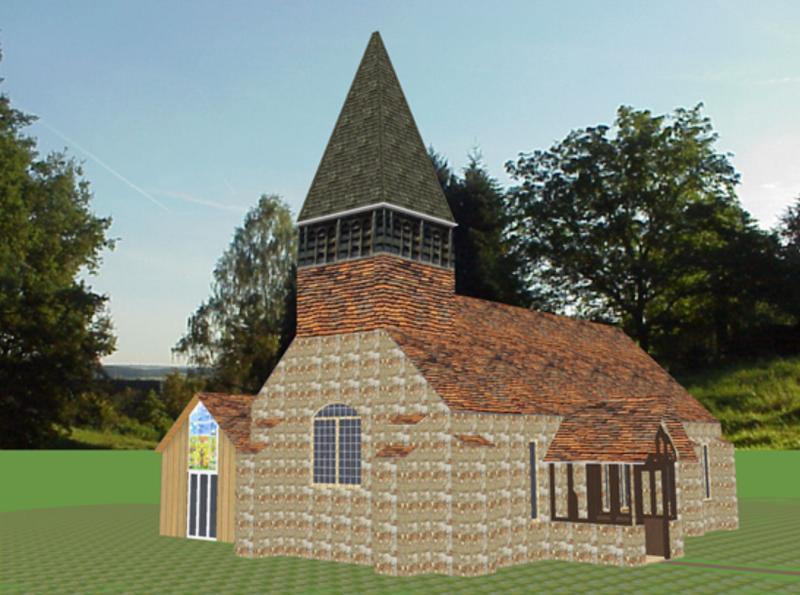 The All Saints Church located in the beautiful Creeksea countryside has obtained planning permission for its extension. This new development will facilitate a spacious learning environment for the children. 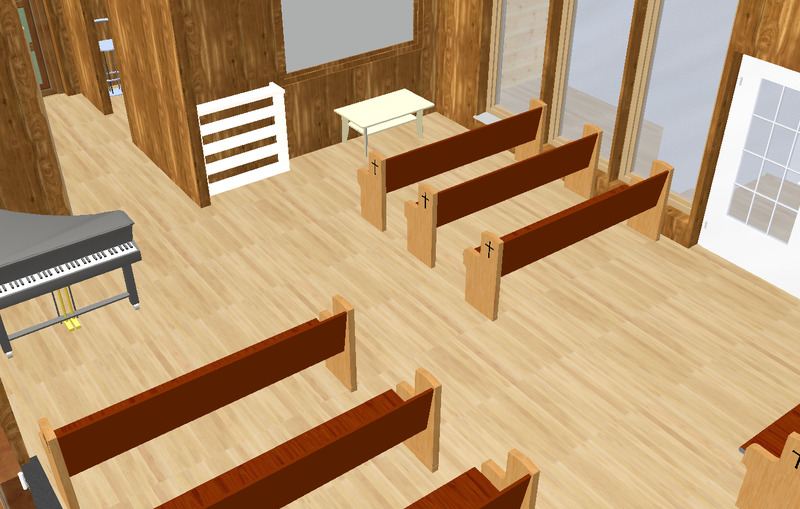 On many occasions the church overflows and this new building will accommodate additional seating. Investment in a new overhead projector will display the services happening in the other room live on a screen so nothing will be missed. A new kitchen will also complement the current setup where food and drinks can be provided. The church had in fact already got the plans in place. Now their objective was to understand what their planned extension will look like before it has been built. 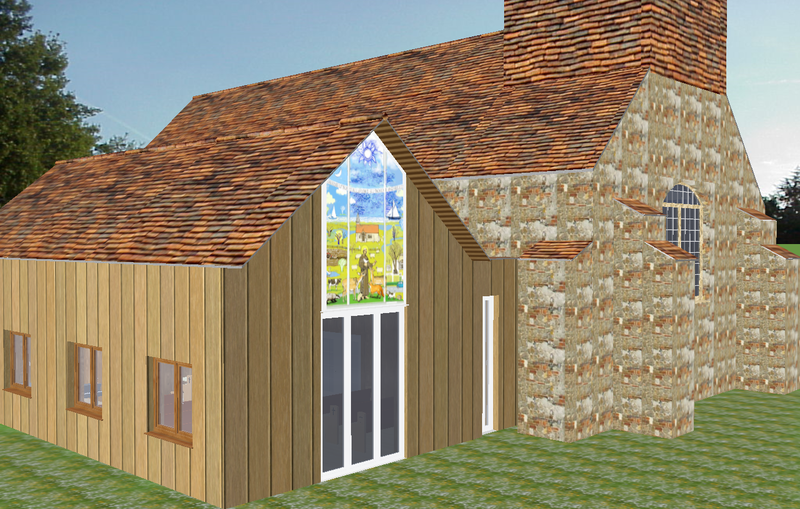 The vicar and her team were seeking a 3D home design program to accomplish this vision. As novices to 3d visualisation software, they needed a solution that was intuitive, easy to use and quick to put their designs together. 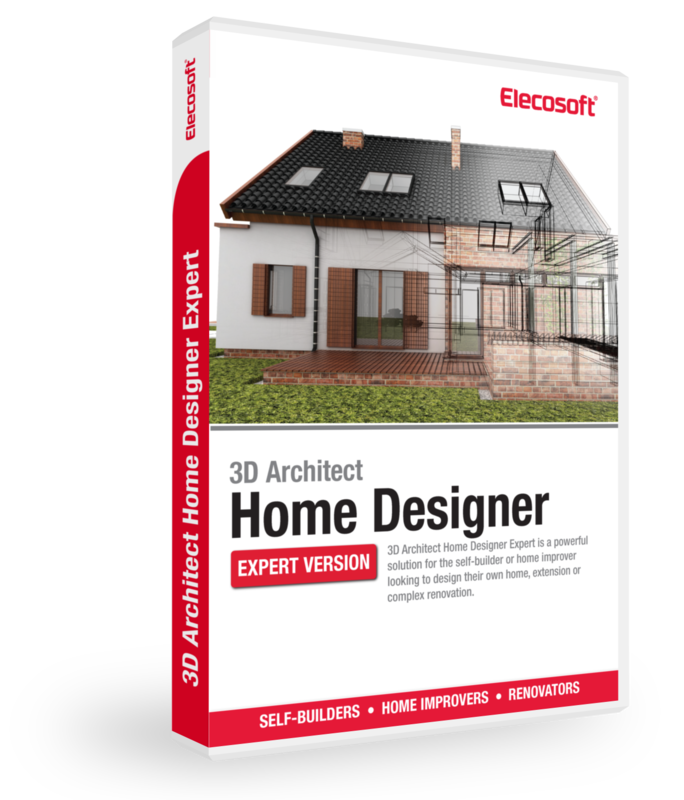 We recommended the 3D Architect Home Designer Expert as the most suitable home design program for this matter. As one can see, they were able to almost identically recreate the current church building and add the planned extension to see what it will look like. They had the dimensions of the plan carried out to scale, however they were still not sure which exterior wooden cladding to choose from. 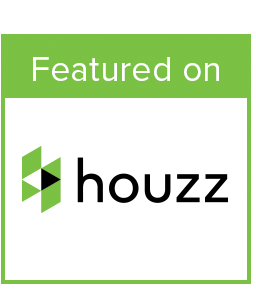 The huge database library within the software offers 1000’s of different styles to apply to their project. Not long after experimenting with various designs, they were happy to settle with vertical wooden cladding in a mid-brown colour. In addition, after they had designed the structure of the building and the exterior, they wanted to see how they could layout the interior of the extension. The home design program has an integrated camera tool which allowed them to take pictures of their design ideas and compare them. They could see which colours, materials and furniture went well together and in different positions and sizes. Effectively trying before they were buying! The texture import assistant allowed them to match their design as closely as possible by applying the same wall and roof textures from photos of the original building. Originally they imported a DWG file into the software which laid out the whole 2D floor plan. From there, they used the extensive range of drawing tools available to simply trace around their plans. Soon after, their blueprints were transformed into an interactive photorealistic 3 dimensional project. They could zoom in on detail, spin the church around and walk through the building to give a good feel of what it might be like to actually be inside. 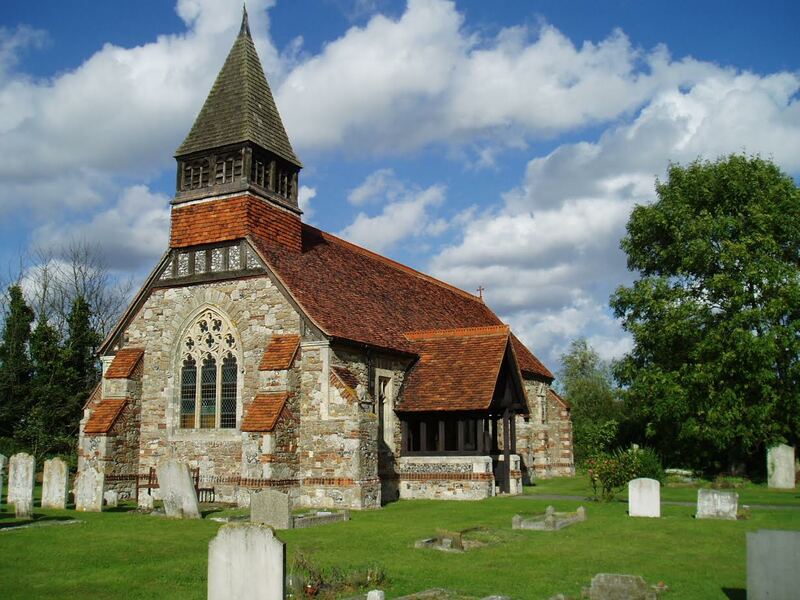 A spokesman from the church said it would have been ideal if they had come across the Home Design Expert software package initially before they consulted with an architect. As a result they would have been able to draw the 2D floor plans and elevations all to scale themselves. On the other hand, if they had a home design program earlier on, they could have communicated their design ideas to their architect more easily.